Berson, I., Berson, M., Desai, S., Falls, D. & Fenaughty, J. (2008). An Analysis of Electronic Media to Prepare Children for Safe and Ethical Practices in Digital Environments. 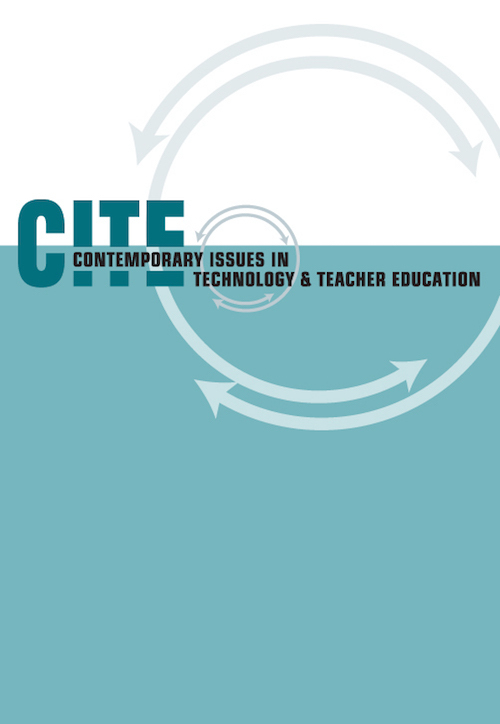 Contemporary Issues in Technology and Teacher Education, 8 (3), 222-243. Waynesville, NC USA: Society for Information Technology & Teacher Education. Retrieved April 22, 2019 from https://www.learntechlib.org/primary/p/27009/. Anderson, D.R., Bryant, J., Wilder, A., Santomero, A., Williams, M., & Crawley, A.M. (2000). Researching Blue’s Clues; Viewing behavior and impact. Media Psychology, 2(2), 179-194. Anderson, D.R., & Lorch, E.P. (1983). Looking at television: Action or reaction? In J. Bryant& D.R. Anderson (Eds. ), Children’s understanding of TV: Research on attention and comprehension (pp.1-34). New York: Academic Press. Bandura, A., Ross, D., & Ross, S.A. (1963). Vicarious reinforcement and imitative learning. Journal of Abnormal& Social Psychology, 67(6), 601-607. Berson, I.R. (2003). Making the connection between brain processing and cyberawareness: A developmental reality. Proceedings of the Netsafe II: Society, Safety and the Internet Symposium, Auckland, New Zealand. Berson, I.R., & Berson, M.J. (2005). Challenging online behaviors of youth: A comparative analysis of research in the United States and New Zealand. Social Science Computer Review, 23(1), 29-38. Berson, M.J., & Berson, I.R. (2004). Developing thoughtful “cybercitizens.” Social Studies and the Young Learner, 16(4), 5-8. Beyth-Marom, R., Austin, L, Fischhoff, B., Palmgren, C., & Jacobs-Quadrel, M. (1993). Perceived consequences of risky behaviors: Adults and adolescents. Developmental Psychology, 29(3), 549-563. Bumpus, M.F., Crouter, A.C., & McHale, S.M. (2001). Parental autonomy granting during adolescence. Developmental Psychology, 37(2), 163-173. D'Zurilla, T.J., & Nezu, A.M. (1999). Problem-solving therapy: A social competence approach to clinical intervention (2nd ed.). New York: Springer. Edwards, W. (1954). The theory of decision making. Psychological Bulletin, 41, 380-417. Edwards, W. (1961). Behavioral decision theory. Annual Review of Psychology, 12, 473498. Fischer, J.M., Mazurkiewicz, G., Kellough, Z., & Preslan, J. (2007). Building connections and community: The roles of self-reflection and technology can play in tolerance and democratic education. Social Education, 71(3), 153-157. Fischhoff, B. (2005). Development of and in behavioral decision research. In J.E. Jacobs& P. Klaczynski (Eds. ), The development of judgment and decision making in children and adults. Mahwah, NJ: Erlbaum. Fischhoff, B., Crowell, N.A., & Kipke, M. (1999). Adolescent decision making: Implications for prevention programs. Summary of a Workshop. Washington, DC: National Academy Press. Reyna, V.F., & Farley, F. (2006). Risk and rationality in adolescent decision making: Implications for theory, practice, and public policy. Psychological Science in the Public Interest, 7(1), 1-44. Rideout, V.J., Vandewater, E.A., & Wartella, E.A. (2005). Introduction: Electronic media use in the lives of infants, toddlers, & Preschoolers. American Behavioral Scientist, 48(5), 501-504. Smith, S.N. (2004). Teaching for civic participation with negotiation role plays. Social Education, 68(3), 194-197.